Oh to be a kid again! 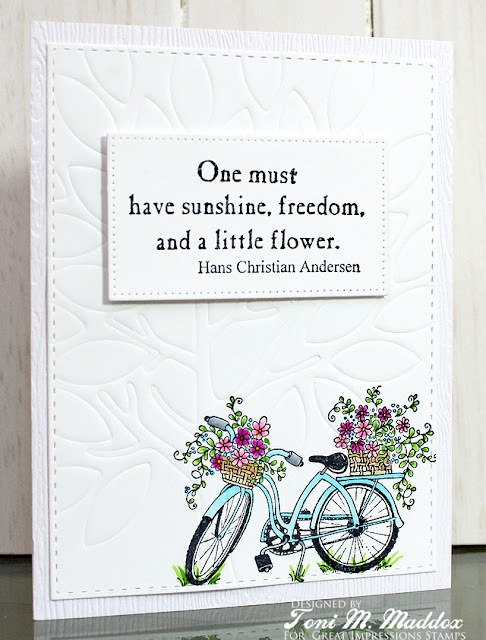 ;) Love your bike with flower baskets AND they way you sliced and diced the sentiment....both ways are beautiful! TFS!!! Love your sweet card, Toni! Great job, my friend!